Society+ challenged me to create a few key looks with their amazing pieces. 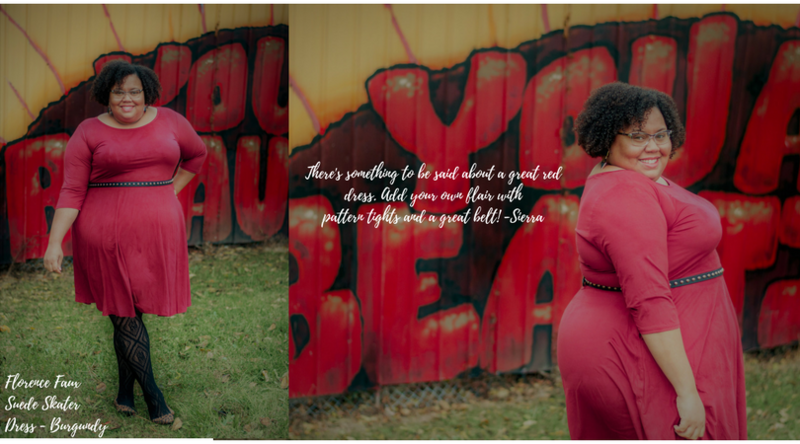 I had so much fun styling their easy-to-wear fabrics that fit my curves just right! Take a look! 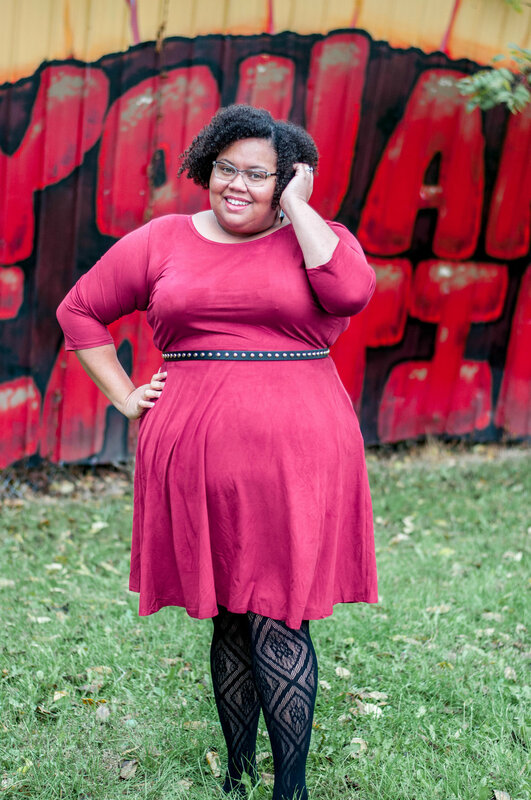 First up, this beautiful suede dress that feels like butter...perfect for work or play, I definitely felt beautiful in it! All my 90's babies stand up! Man did we love our polaroids...lol. 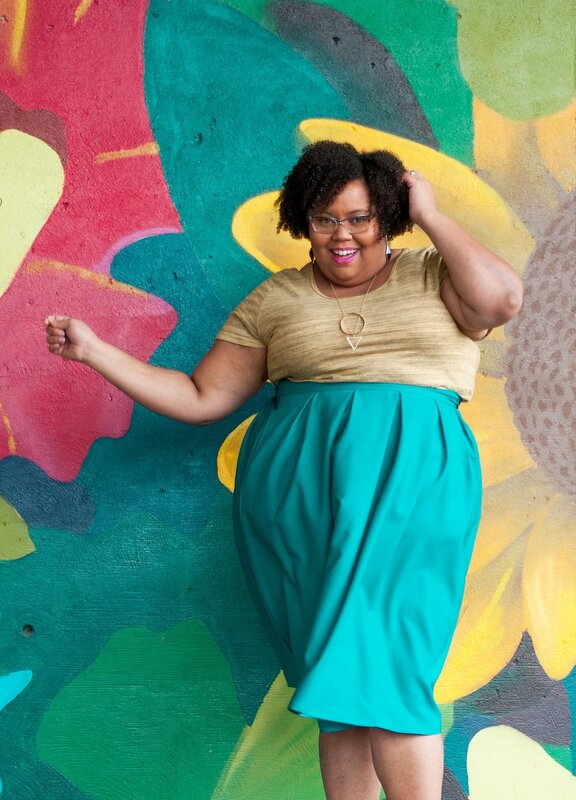 Who wouldn't want multiple pictures of this teal skirt? I mean, seriously...when the wind hit this skirt I felt like a goddess! I would wear this with a casual top for a day out or button down top for work. Which would you prefer? 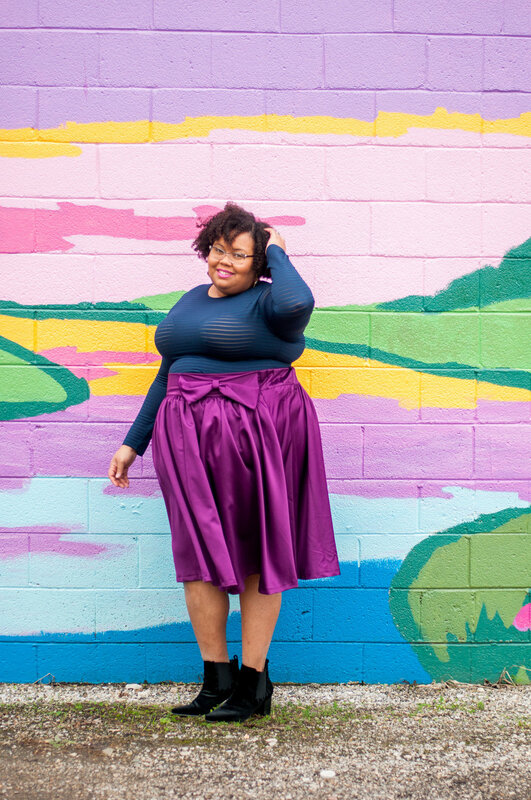 Sticking with the skirt trend, I took on this purple satin-y skirt. I paired it with a navy top, that is a little see-through (mesh in between the fabric), so be very mindful of that! I didn't mind my bra showing, but I know some might. 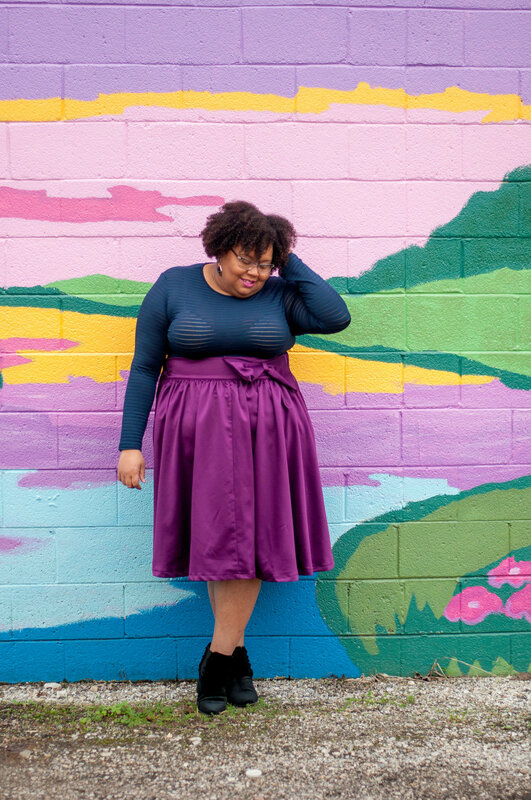 I loved the navy and purple together. I think this skirt could also be great with an off-the-shoulder top in a dressier fabric. Would you wear this on a date night? Last but not least, my absolute favorite in the group- The Power Dress. So most of these looks were fun to style, but this one was clearly made for me. 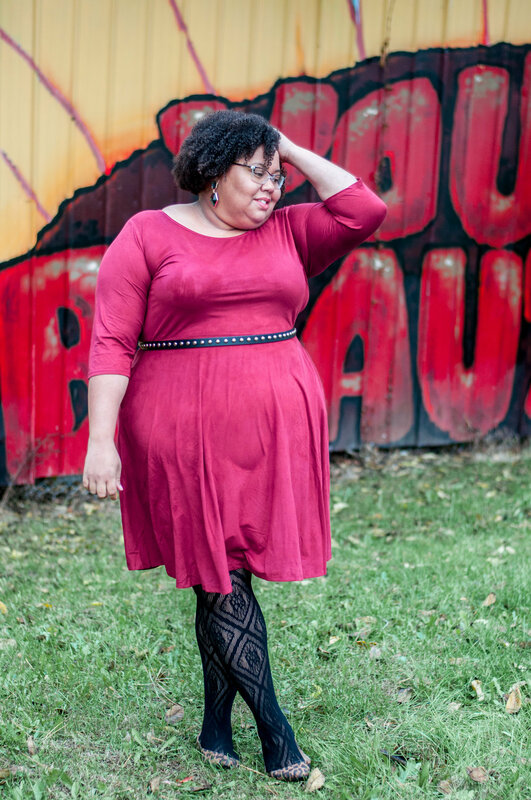 As a #bossbabe, I need looks that have great silhouettes and....pockets. I freaking love pockets! I layered with one of Society +'s striped tops. It's thin enough to keep me conservative, but chic. Plus, you can never go wrong with black and white. P.S. 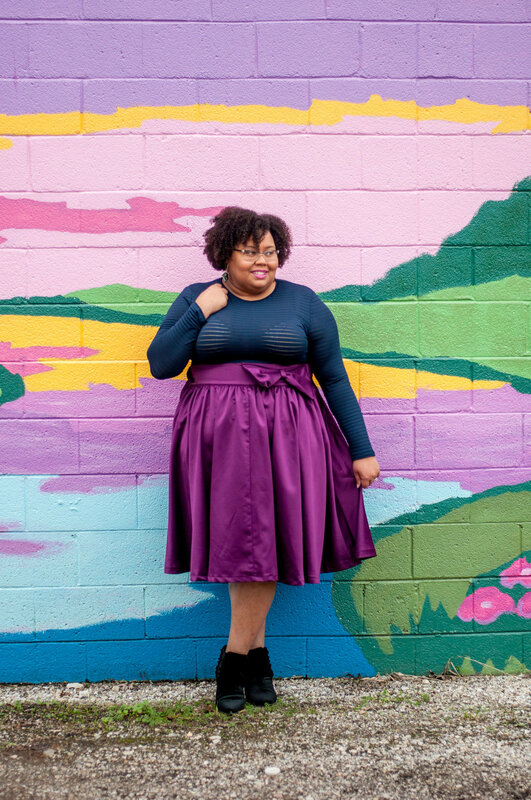 All of these looks are on sale now! Head over to www.societyplus.com and check them out!